COATESVILLE, Penn., July 16, 2018 /PRNewswire/ -- Sikorsky, a Lockheed Martin company, has delivered an S-70 Black Hawk helicopter to the City of San Diego Fire-Rescue Department. When modified by a third party as a FIREHAWK® helicopter with a 1,000-gallon belly tank, retractable snorkel, extended landing gear and rescue hoist, the City of San Diego will have a multirole platform with the speed to more quickly find and extinguish wildfires, perform rescue missions, and deliver initial medical care across the city and neighboring counties. 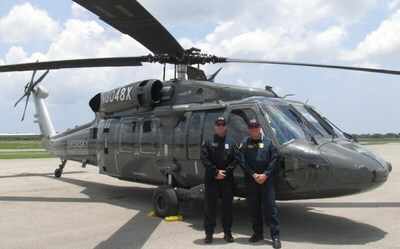 "The Black Hawk is a game changer in its primary role of fire suppression in support of ground firefighting crews," said San Diego Fire-Rescue Air Operations Chief Chuck Macfarland during the June 27 ceremony to accept the aircraft at Sikorsky's facility in Coatesville, Pennsylvania. "Never before has the City of San Diego operated as large and as powerful a helicopter as the Black Hawk, which can accurately place almost three times more water on a wildland fire in a single drop than our current fleet. By hitting wildland fires aggressively in their initial stage, we will be able to keep fires small." 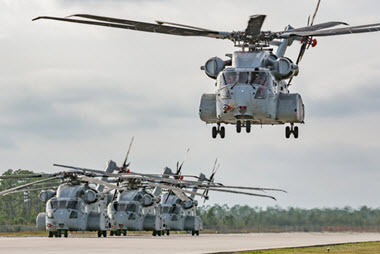 The S-70 Black Hawk helicopter has the engine power to carry over 4 US tons of water, and will operate with safe power margins in hot temperatures at high altitudes. The aircraft's high strength and corrosion resistant airframe significantly reduces maintenance costs. Said Joe Palumbo, Sikorsky international military programs director: "Aerial firefighting is a strenuous mission for any helicopter and its crew, but this third generation Hawk platform has the proven military pedigree and reliability to endure the tremendous physical stresses of acquiring, carrying and dropping large amounts of water repeatedly throughout the course of a day or night's firefighting operations. We welcome San Diego to the Black Hawk family, and wish the Fire-Rescue Department success during the aircraft's decades-long mission to save lives and property." The S-70 aircraft's advanced digital cockpit takes on many of the aircraft's flight functions, allowing the pilot to pre-program and manage the mission while adjusting flight parameters, such as speed, precision hover, heading and altitude, as needed. A digital moving map shows the pilot the aircraft's precise location and destination at all times. Among its standard safety features, the S-70 aircraft includes an Integrated Vehicle Health Management System to monitor the aircraft's operational health, and a terrain and obstacle avoidance system that alerts aircrew to the proximity of potential ground hazards. In addition to its principal mission of wildland fire suppression, San Diego's FIREHAWK aircraft can insert rescue medics, and hoist patients into the cabin for treatment and transport to a nearby hospital. Learn more information about the FIREHAWK helicopter.